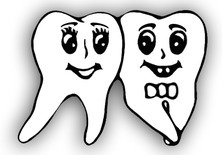 Our commitment to your dental care is our priority. 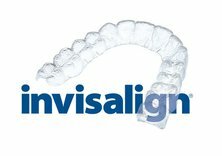 We invite you to communicate with our office online at www.demandforce.com/dentist/smilage. This online service is easy to use and a convenient method to provide you with appointment reminders and confirming your appointments all by email and/or text. Do you want us to give you a friendly reminder on the same day of your appointment then sign up for text messages. This great feature will send you a reminder text 3 hours before your appointment. Check-in Policy: Please check-in when you arrive with the receptionist to help prevent any interuption with your appointment. We recommend arriving 15 minutes early to allow for the check-in process (30 minutes for any new patient). Please remember to bring a valid picture identification of the responsible party including any insurance identification for any patient with insurance coverage at the first visit to help prevent fraudulent activity. You will also need to fill out a Medical History Form and a Financial Agreement Form at your first visit. Remember to turn off your cell phone in the treatment room. Thank you for your cooperation and assistance. It is greatly appreciated. Do you want to view or print any document listed below? Just right click the item below and have a great day! * The forms listed above are being provided for patient educational purposes ONLY.